Ohio Medicaid Overview — Daniel P. Seink Co., Ltd. The cost of long-term custodial care presents the most significant threat to estate preservation for the majority of clients. However, most families facing the specter of long-term care do not seek out or are unable to find competent advisors. Knowledgeable legal and financial professionals are needed to walk families through the maze of selecting the best care arrangement, filling out facility admission paperwork, and developing a structured financial plan to pay for the custodial care. The professional with the office down the street from you will have very little experience in these areas. The most common "advice" we hear from them through our clients with immediate nursing home situations is that there is nothing that can be done: they are simply told they have to expend all of their assets. But this is not the answer. First, the term "spend down" does not equate under the law to "go broke," particularly for a married couple. Second, the case worker at the County Medicaid Department is trained and overseen by those in charge of limiting Medicaid expenditures. Their job is not to protect your financial independence by providing you advice, but to process paperwork. The lack of competent impartial advisors often leads to unfortunate results. One client, by the time she had first contacted us, had applied every penny she and her husband owned to pay for the husband's custodial care, and was in the process of mortgaging their home to continue to provide for his care, without anyone telling her she was spending money the law entitled her to keep for her own needs. We have spoken to another woman who was threatened with immediate imprisonment for her refusal to sign over accounts on which her sister's name appeared, even though she was clearly not required to under the law. While these cases are extreme, they illustrate the point that a knowledgeable professional should be in your corner. The neighbor's suggestion to give everything to the children is NOT the answer, especially if your are merely worried about the possibility of a nursing home stay. Further, it will NOT work if there is a need for such care in the next few years. Our firm assists seniors and their families navigate this difficult area on a daily basis. We have the knowledge and experience to provide you and your loved ones with a complete and thorough evaluation of your needs, develop a concise plan of action and supply all the support necessary for the execution of that plan. Beware of "advisors" who offer free advice: if they are not government or non-profit workers, then they must get paid from you somehow. And use common sense: the Medicaid laws are complex and constantly changing, and solutions are unique to each case. "Experts" offering to sell you videos are really "reeling you in" to buy more services, because a video is not going to give you the best solutions to your problems and the tools to accomplish them. Are they up-front about this or are they hiding something from you? What do you KNOW about them? If you receive poor advice, what are your RIGHTS? Especially if the "advisors" or "experts" are working through an out-of-state company, for instance. Whether they are in state or out of state, non-attorney "advisors" can simply shut their doors tomorrow and leave you with the unfortunate consequences. The Ohio Attorney General's Office has filed a lawsuit against "paralegals" who represented themselves as "Medicaid specialists" and were contracting to help seniors qualify for Medicaid, but skipped the State after scamming seniors out of tens of thousands of dollars (read the Attorney General's news release by clicking here.) More recently, The Supreme Court of Ohio's Board on the Unauthorize Practice of Law issued an Opinion (UPL 11-01) declaring that Medicaid planning by a non-attorney constiutes the unauthorized practice of law and is subject to enforcement procedures. 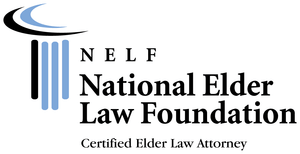 Be wary of so called elder law attorneys who have very little experience in this area of the law. In many cases, these attorneys have bought website content and legal documents from others and have very little understanding of the intricacies of the laws, policies, and processes involved in public benefits practice. While quality representation should be of primary concern, be mindful of fees. Some attorneys will charge two to three times the amount that other experienced attorneys will charge for the same service. Trust your intuition: if the fees seem exorbitantly high, they probably are! And be aware of financial advisors who offer to sell Medicaid planning through out of state attorneys under a new scheme. These attorneys operate under the cloak of an out of state limited liability company (again, no liability). They offer to coordinate with in-state attorneys, but these in-state attorneys are inexperienced in the Medicaid field and are typically brought in only for the purpose of walking the Medicaid application into the County after the "planning" has already been done (for a much smaller fee than the out of state company receives). The plan usually involves an irrevocable trust and the sale of an annuity. That is where the financial advisor makes their money and what drives this scheme. The problems with this contrivance include that this is a "one size fits all" model that, at best, will only work for a minority of individuals, and the fact that the purchase of the annuity serves no purpose other than to generate a commision for the agent! Finally, never agree to a "free irrevocable trust" from an insurance company, whether tied to the purchase of a life insurance policy or annuity. "Selling" these trusts consitutes the unauthorized practice of law, but more importantly, makes the funds put into the trust inaccessible to anyone including you until you die (even if you ultimately need the money because Medicaid is required within the five year look back period). For many people, utilization of any irrevocable trust would not be the best means of Medicaid planning due other more beneficial options available to them based on their unique circumstances.